Days of light, Nights of partying! 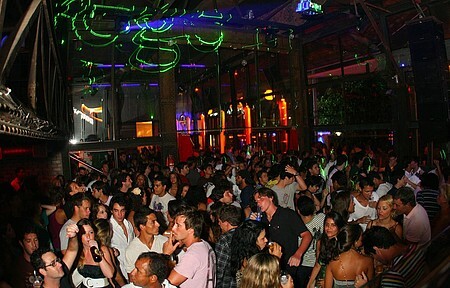 If the days are intense at the beach, the nights of Búzios follow the same pace! 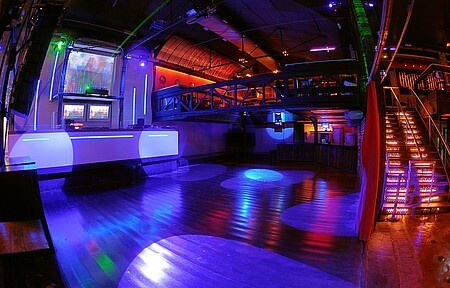 Nightclubs, parties, bars with live or electronic music, concerts, dinners... The town offers choices for all styles until dawn – especially during the summer and holidays. 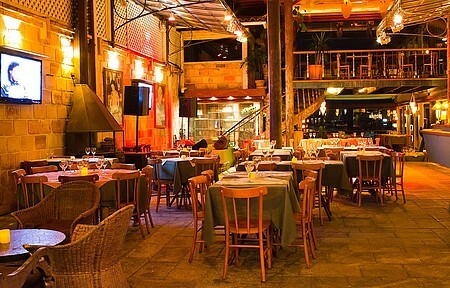 The epicenter of the buzz is Rua das Pedras – and its continuation, Orla Bardot - which has an eclectic atmosphere full of bars, restaurants, shops, cafés, and people from around the world. It is here that you will hear the most varied accents and dialects, revealing the cosmopolitan vibe that took over the former fishing village. With just over 600 meters, the Rua das Pedras is pure charm from beginning to end. If not for Rua das Pedras, Búzios wouldn’t be the same. 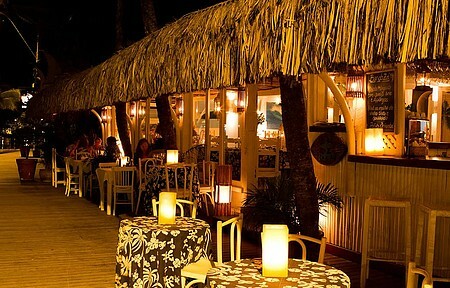 Cozy and sophisticated restaurants serve dishes that combine a wide variety of flavors and aromas. Funky bars with live music invite you to enjoy the come-and-go, while nightclubs shake up the dance floors until daybreak. And there are also art galleries, home furnishing shops, accessories shops, and designer shops that arouse the most unusual consumer desires. On the Rua das Pedras-Orla Bardot corridor the scene changes with each step. 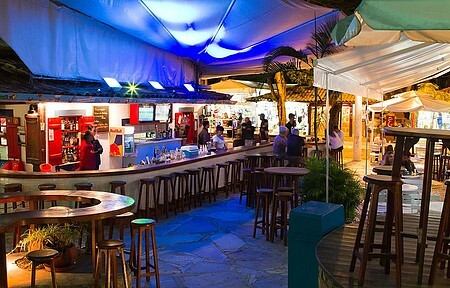 To simply get a drink and watch the come-and-go, a good choice is the small Captains Bar, which serves exclusive drinks to the sound of electronic music. 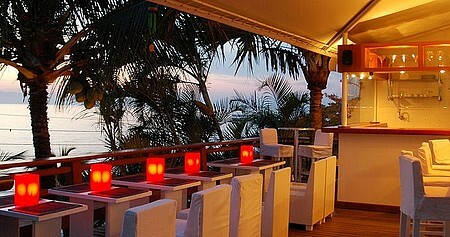 Further ahead is the Anexo Bar, which stands out with its sea facing “relax chairs” and with the lounge-style music. If you want to get a drink go with the caipirinhas in various flavors. 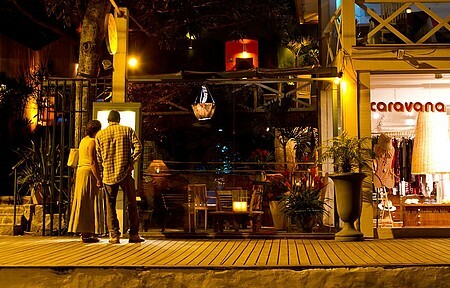 If the occasion calls for a romantic mood, go to Deck Casas Brancas, which has an informal atmosphere, candle light and exotic drinks. Traditional bar Renascimento, at Rua Turíbio de Farias – which runs parallel to Rua das Pedras - is a good option for a warm-up, featuring very cold beer, plentiful snacks, and good music. The atmosphere is simple but cozy. 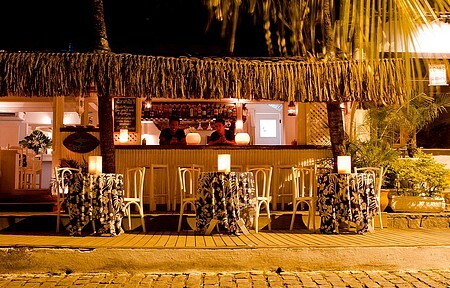 For a romantic night out, Anexo Praia, at Porto da Barra, is an excellent choice because of the atmosphere and the music. If you want to dance, the buzz at the nightclubs is guaranteed until dawn. In the beautiful and pioneering Privilège, the view of Orla Bardot is as dazzling as the sound of the DJs who play there. If you prefer a quieter but no less sophisticated atmosphere, with jazz, blues and MPB performances, you will find it at Pátio Havana. Once there, check out the underground wine cellar or go with a quiet dinner at the bistro. There are five different rooms decorated by Sig Bergamin. 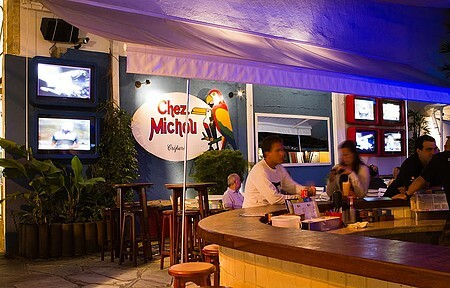 For those not old enough to enjoy the dance floors or some wine, the best option is to enjoy the attractions of Chez Michou, which go far beyond the delicious crepes. For over 25 years, the laid back restaurant has been a gathering ground for the young crowd. 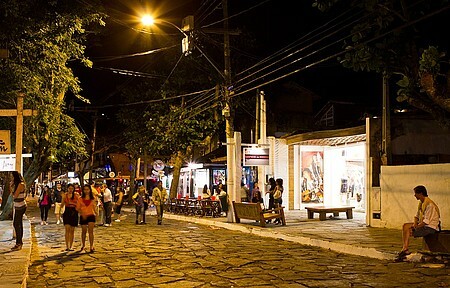 Rua das Pedras and Orla Bardot are not the only places in which to savor Búzios’ nights – at least for those who plan to enjoy the beach the next morning. 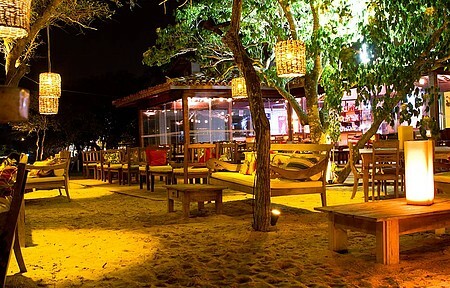 At Porto da Barra, in Manguinhos, the atmosphere is perfect for a romantic dinner or a drink with friends. 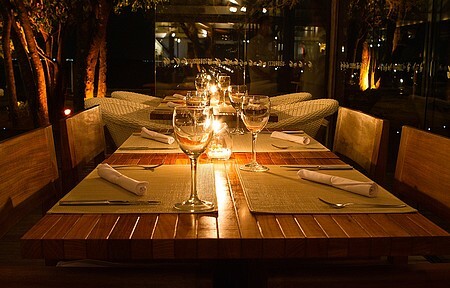 The landscaping and lighting design invite you to sit at the outdoor tables of restaurants like Zuza, or in the delicious seaside lounges of Donna Jô and Anexo Bar. The nearby Espaço Domme is also worth a visit. 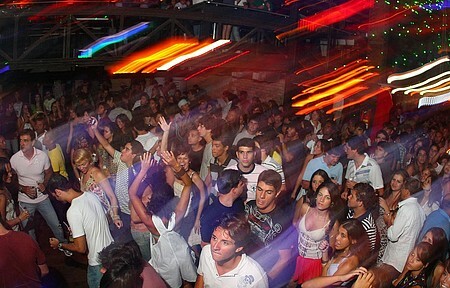 One of the best places to find out what the night’s hot ticket will be is Geribá Beach, especially around the Fishbone Café, the gathering ground of the golden youth. 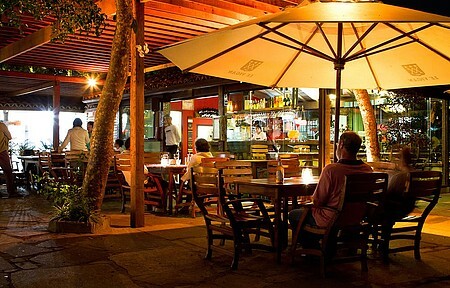 Remember that nights in Búzios have special hours, at least between December and February and on holidays. It’s sort of like Búzios has its very own time zone of minus two hours. 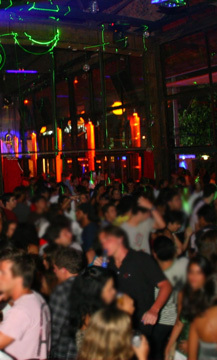 Therefore, nightclubs and parties often only start filling up after 1 a.m. Incidentally, don’t bother going by Rua das Pedras during the mornings or early afternoon. Even shops have adapted to this style and only open after 2 p.m.